Any ukulele player looking for a good price on a fantastic concert ukulele bundle will appreciate this deal, particularly if they happen to catch a sale. Typically retailing around $160 USD, it is often offered at an impressive discount that makes an already affordable uke bundle a real steal. The ukulele is of course what really matters here, and as concert ukes go, this is an attractive model with a sweet, classic sound. The top, back, sides, and neck are a mixture of Sapele and Mahogany, while the fingerboard is of rosewood. It is pre-strung with Aquila strings, has handmade ABS bindings, and is equipped with chrome die-cast tuners. The arched back contributes to the instruments beautiful sound and there are two strap buttons pre-installed for convenience. The bundle includes a strap, a tuner, a soft case with a front zipper compartment for accessories, two picks, a pick holder, and a spare set of Aquila strings. A video ukulele lesson is included, and the manufacturer offers a lifetime warranty. All of this sounds great, and it’s not surprising that most reviews are positive. Let’s take a look at the highlights. 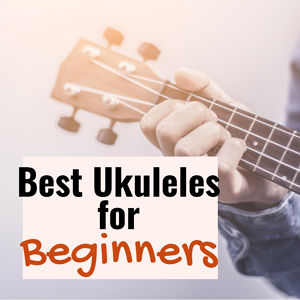 Almost all inexpensive ukuleles get mixed reviews, but this one is overwhelmingly popular with just about everyone who tries it, from beginners to experts. People have posted clips of themselves playing online, and the sound is so sweet and mellow, it’s not surprising that the instrument gets great reviews. Here are the main reasons it’s so popular. Awesome design: This is a well-made ukulele. It is crafted with attention to detail, and the strap buttons are a fantastic touch since they can be $40-$50 to install at a guitar shop. This is a very attractive ukulele with outstanding craftsmanship especially at this low price. Great tone:The ukulele settles into tune nicely after being played and retuned several times. It’s pretty much par for the course; give it some time and patience and you’ll be rewarded with beautiful music.The bundle is exactly as described and the tuner that comes with it is surprisingly nice. The sound is sweet, rich, and mellow. It’s very rewarding to learn to play on an instrument that already sounds good, this makes you want to keep on learning and playing more! The ukulele sounds fantastic. No buzzing noises anywhere, and it sounds good even on the higher frets. The frets are spaced further apart than on a soprano ukulele, so you can play easily even if your hands are larger than average. Durable: Stays in tune very well even during weather changes. True, it needs frequent tuning at times but it’s fast and easy and stays in tune long enough to enjoy playing for a while. Affordable: If you want to take a step up from a cheap ukulele to a better one that’s more enjoyable to play, this is worth considering. The strap is a really nice touch, makes it easier to play in any situation. Great Customer service: The company offers excellent customer service and answers questions quickly. Quality control seems to be a priority and the instrument was very well packaged for shipping. Awesome bundle: The Lohanu LU-C ukulele bundle has everything you need to get started if you’re a beginner, including picks that you might or might not want to use. You get a great value for the price. Bang for the buckThis ukulele is perfect for someone who wants a nice instrument but has to stick to a budget. The looks and sound are similar to something more expensive yet you can take it places without worrying too much about causing damage. It’s the ideal package for anyone who is taking lessons because it comes with everything you need to get started. Complete package: The extras are such a nice touch. 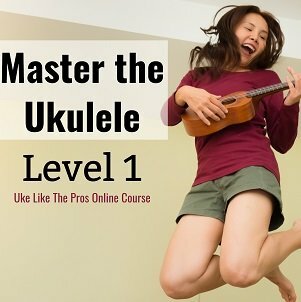 For example the online video lessons are pretty good – you learn how to tune the ukulele if you don’t already know how, you get a beginner’s lesson to help you get started, and you learn some catchy, classic “Hawaiian” songs that will help you feel like you’re accomplishing something even though you’ve only been playing for a short time. While the Lohanu LU-C ukulele concert size bundle gets very few negative reviews, there are a few things to be aware of. Most are very easy to resolve. The gig bag is OK but it’s pretty thin. It might be a good idea to replace it with a hard shell case because the ukulele is so nice that it deserves better. Some reviewers found minor craftsmanship flaws and either fixed them or returned the instruments for replacements. Some reviewers liked everything but the tuner. Some complained that the tuner didn’t work well and some complained of dead batteries right out of the box. Some others had to return broken tuners for replacements. In all cases however, these reviewers noted that the company was excellent to work with during the replacement process. If you’re looking for a nice ukulele bundle at a fantastic price, then you are probably going to find lots to love about the Lohanu LU-C ukulele concert size bundle. With so many extras, it’s not surprising that this is one of the most popular ukulele kits around. The instrument itself is attractive, well-built, and fun for anyone to play. It’s sized to accommodate people with larger hands, and the strap pins make a very nice upgrade. The extra strings and case are a nice touch, as is the tuner. Whether you are a brand new player or someone who is looking to replace a low-quality uke, you’ll probably appreciate everything about this one. It comes with a lifetime warranty and a 30-day money back guarantee, which is more than we can say for some of the other ukuleles that we have reviewed. The online video lesson is a nice “extra” that you can use yourself or gift to someone who’s just starting out. Overall, this is a fantastic instrument with nice extras at a price that is almost unbelievably low. Whether you are looking for your first ukulele or upgrading from a cheaper instrument, you’re likely to appreciate the Lohanu LU-C bundle.